Even if keeping bees sounds about as wise to you as keeping velociraptors (we all know how that movie went), we have to acknowledge that they are a worthwhile thing to have around. We don’t personally want them around us of course, but we respect those who are willing to keep a hive on their property for the good of the environment. But as it turns out, there are more challenges to keeping bees than not getting stung: you’ve got to keep track of the things too. Keeping an accurate record of how many bees are coming and going, and when, is a rather tricky problem. Apparently bees don’t like electromagnetic fields, and will flee if they detect them. So putting electronic measuring devices inside of the hive can be an issue. [Mat Kelcey] decided to try counting his bees with computer vision, and so far the results are very promising. After some training, a Raspberry Pi with a camera can count how many bees are in a given image to within a few percent of the actual number. Getting an accurate count of his bees allows [Mat] to generate fascinating visualizations about his hive’s activity and health. With real-world threats such as colony collapse disorder, this type of hard data can be crucial. This is a perfect example of a hack which might not pertain to many of us as-is, but still contains a wealth of information which could be applicable to other projects. [Mat] goes into a fantastic amount of detail about the different approaches he tried, what worked, what didn’t, and where he goes from here. So far the only problem he’s having is with the Raspberry Pi: it’s only able to run at one frame per second due to the computational requirements of identifying the bees. But he’s got some ideas to improve the situation. As it so happens, we’ve covered a few other methods of counting bees in the past, though this is the first one to be entirely vision based. Interestingly, this method is similar to the project to track squirrels in the garden. Albeit without the automatic gun turret part. Machines – is there anything they can’t learn? 20 years ago, the answer to that question would be very different. However, with modern processing power and deep learning tools, it seems that computers are getting quite nifty in the brainpower department. In that vein, a research group attempted to use machine learning tools to predict stock market performance, based on publicly available earnings documents. The team used the Azure Machine Learning Workbench to build their model, one of many tools now out in the marketplace for such work. To train their model, earnings releases were combined with stock price data before and after the announcements were made. Natural language processing was used to interpret the earnings releases, with steps taken to purify the input by removing stop words, punctuation, and other ephemera. The model then attempted to find a relationship between the language content of the releases and the following impact on the stock price. Particularly interesting were the vocabulary issues the team faced throughout the development process. In many industries, there is a significant amount of jargon – that is, vocabulary that is highly specific to the topic in question. The team decided to work around this, by comparing stocks on an industry-by-industry basis. There’s little reason to be looking at phrases like “blood pressure medication” and “kidney stones” when you’re comparing stocks in the defence electronics industry, after all. With a model built, the team put it to the test. Stocks were sorted into 3 bins — low performing, middle performing, and high performing. Their most successful result was a 62% chance of predicting a low performing stock, well above the threshold for chance. This suggests that there’s plenty of scope for further improvement in this area. As with anything in the stock market space, expect development in this area to continue at a furious pace. We’ve seen machine learning do great things before, too – even creative tasks, like naming tomatoes. In the beginning, around 2011 or thereabouts, there was an infinite variety of designs available for anyone to build their own 3D printer. There were Mendels, some weirdos were actually trying to build Darwins, and deltas were starting to become a thing. In the years since then, everyone just started buying cheap Prusa clones and wondering why their house burnt down. One of the most innovative printers of this era was the Tantillus. It was a small printer, with the entire frame fitting in a 250mm square, but still able to print a 100mm cube. You could print the entire printer, and it was adorable. Face it: most of your prints aren’t bigger than 100mm unless you’re purposely printing something huge, and having a low moving mass is good. Of note in this new design, the Tantillus R is still using shafts driven with high-test fishing line, driven by steppers and belts. The R version is getting away from the J-head, but in the interests in keeping the moving mass down, the hotend is a Merlin. This might seem an especially odd choice in the age of all-metal hotends, but again the goal is to keep moving mass down. As you would expect from a modern 3D printer, there’s support for a heated bed, you can plug a Raspberry Pi into it for Octoprint, and in true RepRap fashion, most of the parts are printable. While the era of self-build 3D printers is probably over — you can’t compete with the cheap Chinese firestarters on price — the Tantillus R is a great project that retains the spirit of the RepRap projects while adding a few modern niceties and can still produce some impressive prints. While an old CRT TV may work well enough on a MAME cabinet project, the real arcade purists are quick to point out that a proper arcade monitor and a TV aren’t the same thing. 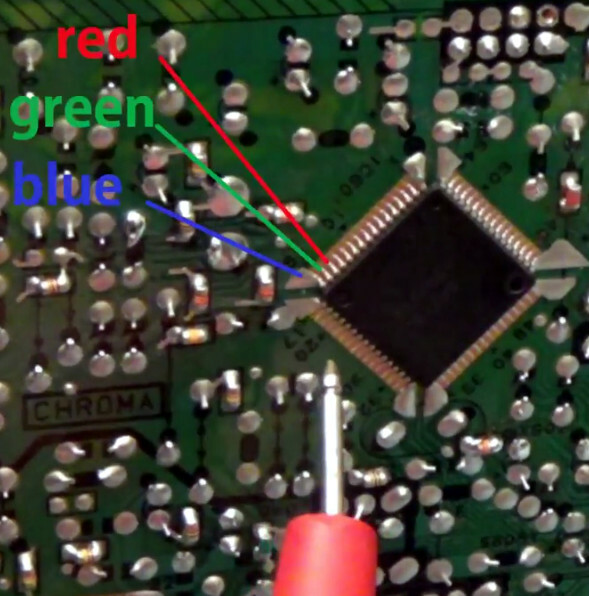 A real arcade board uses RGB to connect to the monitor, that is, direct control over the red, green, and blue signals. Conversely video over coax or composite, what most people associate with old CRT TVs, combine all the video information down into an analog signal. Put simply, RGB allows for a much cleaner image than composite. Many in the arcade restoration scene say that trying to convert a bog standard CRT TV into a RGB monitor isn’t possible, but [Arcade Jason] had his doubts. Over on his YouTube channel, he’s recently posted a tutorial on how to go from a trashed CRT TV to a monitor worthy of proper arcade gaming with relatively little work. As real arcade monitors are becoming increasingly rare, these kind of modifications are likely to get more common as coin-op gamers look to keep the old ways alive. Now obviously every TV is going to do be different inside. All CRT TVs contain high voltages, and on some the circuit boards aren’t even mains-isolated, so take care if you try this. [Jason] certainly doesn’t claim that the method he demonstrates will work on whatever old TV you happen to have kicking around. But the general idea and some of the techniques he shows off are applicable to most modern TVs, and can help you tailor the method to your particular piece of gear. It all starts with a wet finger. Seriously. [Jason] demonstrates a rather unique way of determining which pins on the TV’s control chip are responsible for the individual color signals by wetting his finger and sliding it over the pins. When a change in color is seen on the displayed image, you know you’re getting close. We can’t say it’s the most scientific or even the safest method, but it worked for him. He then follows up with a jumper wire and resistor to find the precise pins which are responsible for each color, and solders up his actual RGB connection for the arcade board. In addition to the three color wires, a sync signal is also needed. This is the same sync signal used in composite video, so all that’s needed is to solder to the pad for the original composite video jack. Add a ground signal, and you’ve got yourself a proper RGB monitor. Interestingly, this one has come full circle, as [Jason] says his attempt was inspired by an old post on Hackaday. It’s the Circle of Hacker Life. The principle is well understood: use a motor in reverse and you get a generator. Using this bit of knowledge back in 2001 is what kick-started [Ted Yapo]’s Hackaday Prize entry. At the time, [Ted] was searching for a small flashlight for astronomy, but didn’t like dealing with dead batteries. He quickly cobbled together a makeshift solution out of some supercapacitors and a servo-as-a-generator, hacked for continuous rotation. A testament to the supercapacitors, 17 years later it’s still going strong – leading [Ted] to document the project and also improve it. The original circuit was as simple as a servo, protection diode, some supercapacitors, and a LED with accompanying resistor; but now greater things are afoot. A DC-DC boost converter enables constant power through the LED, regardless of the capacitor voltage. This is achieved by connecting the feedback pin of an MCP1624 switcher to an INA199 current-shunt monitor. The MCP1624 kicks in at 0.65V and stays active down to 0.35V. This is all possible due to the supercapacitors, which happily keep increasing current as voltage drops – all the way to 0.35V. Batteries are less ideal in this situation, as their internal resistance increases as voltage drops, as well as increasing with age. Want to read more about boost converter design? We have the pros and cons of microcontrollers for boost converters, or this neat Nixie driver for USB power. Today we take the concept of a centralized software repository for granted. Whether it’s apt or the App Store, pretty much every device we use today has a way to pull applications in without the user manually having to search for them on the wilds of the Internet. Not only is this more convenient for the end user, but at least in theory, more secure since you won’t be pulling binaries off of some random website. But centralized software distribution doesn’t just benefit the user, it can help developers as well. As platforms like Steam have shown, once you lower the bar to the point that all you need to get your software on the marketplace is a good idea, smaller developers get a chance to shine. You don’t need to find a publisher or pay out of pocket to have a bunch of discs pressed, just put your game or program out there and see what happens. Markus “Notch” Persson saw his hobby project Minecraft turn into one of the biggest entertainment franchises in decades, but one has to wonder if it would have ever gotten released commercially if he first had to convince a publisher that somebody would want to play a game about digging holes. 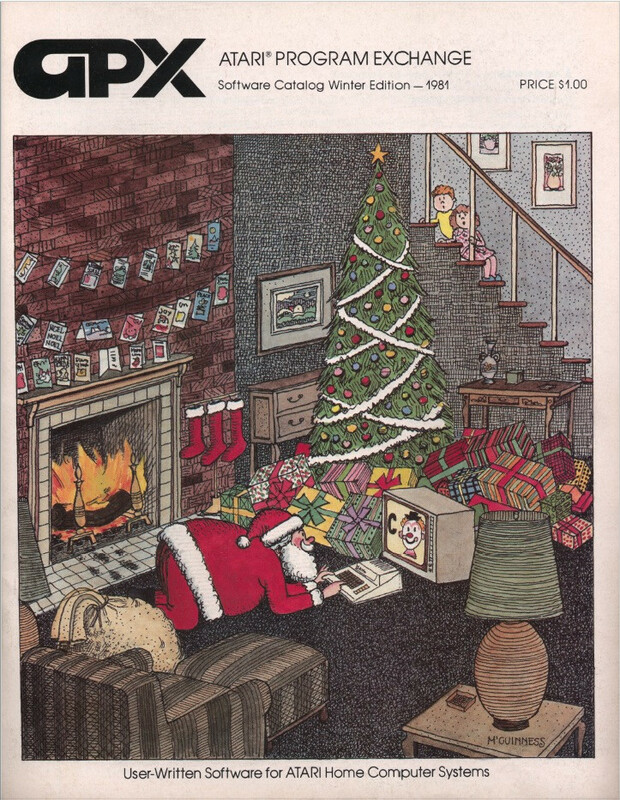 In the days before digital distribution was practical, things were even worse. If you wanted to sell your game or program, it needed to be advertised somewhere, needed to be put on physical media, and it needed to get shipped out to the customer. All this took capital that would easily be beyond many independent developers, to say nothing of single individuals. If you like your synthesizers glitchy, squawky, or simply quick-and-dirty, you won’t want to miss this week’s Hack Chat with Hackaday’s own [Elliot Williams], because he’ll be brain-dumping everything he knows about making music with 4000-series CMOS logic chips. Break out your breadboards! 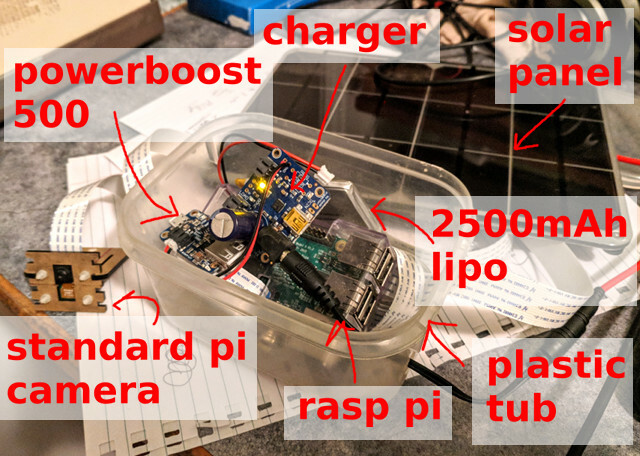 ˙˙˙ɹǝʌo ǝɯ dılɟ ʎǝɥ wrote a reply on PiSugar Battery for Raspberry Pi zero. Enrico Placci liked DIY Bone conduction glasses. Daren Schwenke wrote a comment on project log Gear Calculations.